It’s certainly an exciting time for small car enthusiasts. With the recent launch of stylish and fuel efficient cars like the 2013 Dodge Dart, and with gas prices in endless flux, now is as good a time as any to consider a ride that is more about mileage than muscle. We recently had a chance to take both cars for a spin down the California coast, and let’s just say we were left impressed by how hard Hyundai is working to carve out a space for itself in the small car segment. 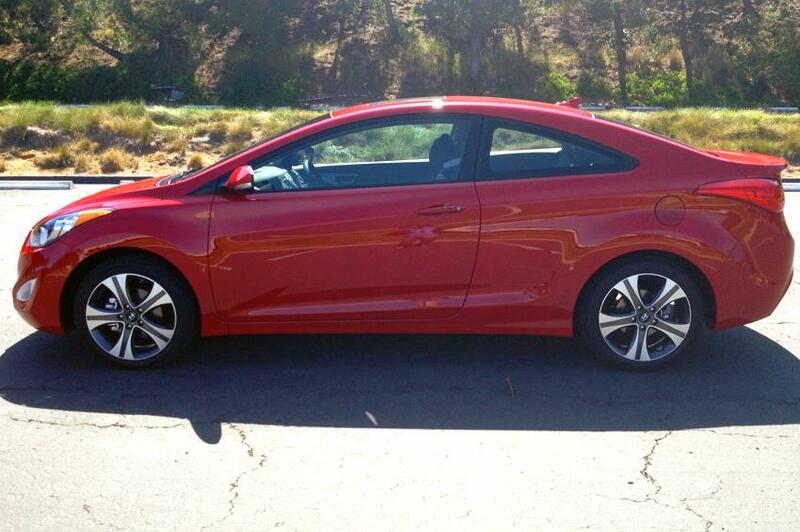 We’ll begin with the most straightforward of the bunch, the sporty Elantra Coupe. 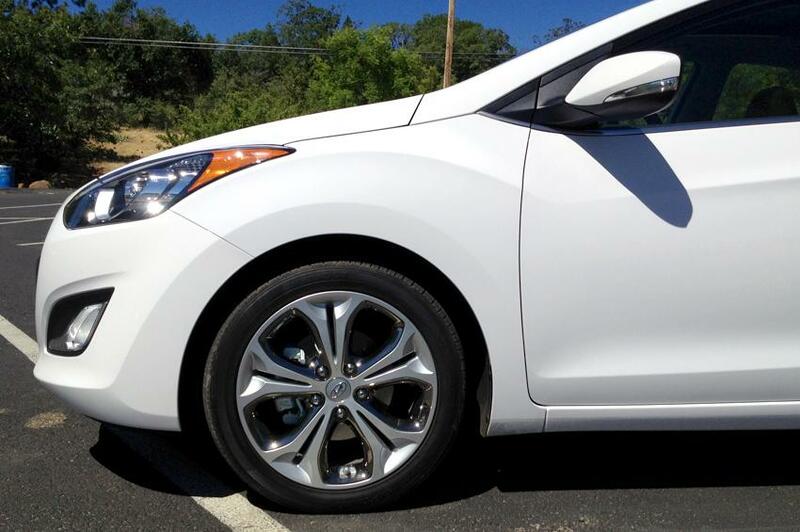 Unlike the Veloster Turbo Hyundai isn’t trying to reinvent the wheel here. 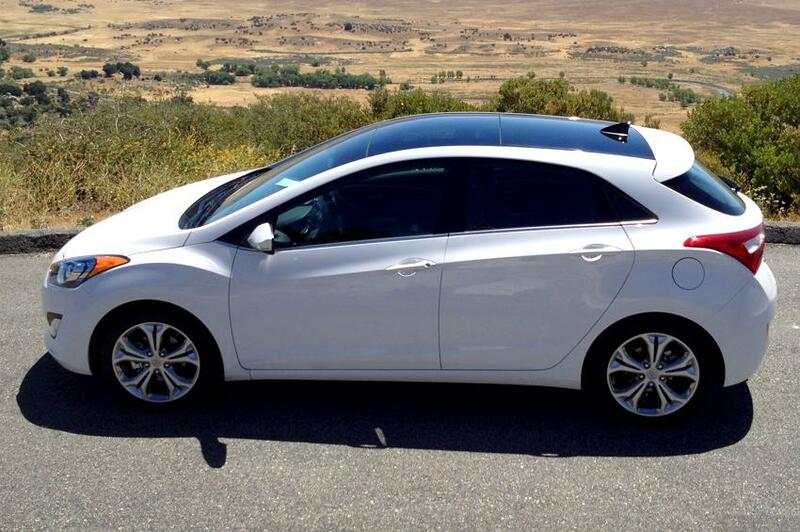 Instead, fans of the sharp Elantra sedan will find an almost identical offering in the two-door version. Sure, you’ll find design cues unique to the Elantra Coupe like 17-inch alloy wheels, blacked out front grille, and dual chrome exhausts tips, but minus those two doors found on the Elantra Sedan, the Coupe remains almost identical. Truth be told, that’s not a bad thing. 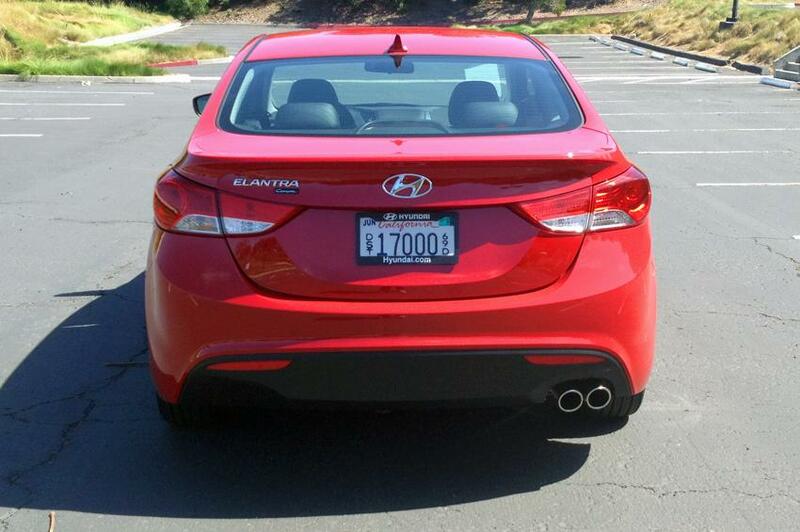 Overall the Elantra Coupe features just enough design touches to help lend it the sporty credentials we crave. Coupes have a tendency to catch a bad rap when it comes to interior space (or lack thereof) where getting in and out of the backseat often requires a gymnast’s flexibility. Thankfully the Elantra Coupe does well to bypass this problem. Climbing in and out of the back proved easy enough and once our rumps hit the seat we found an admirable amount of leg and headroom. 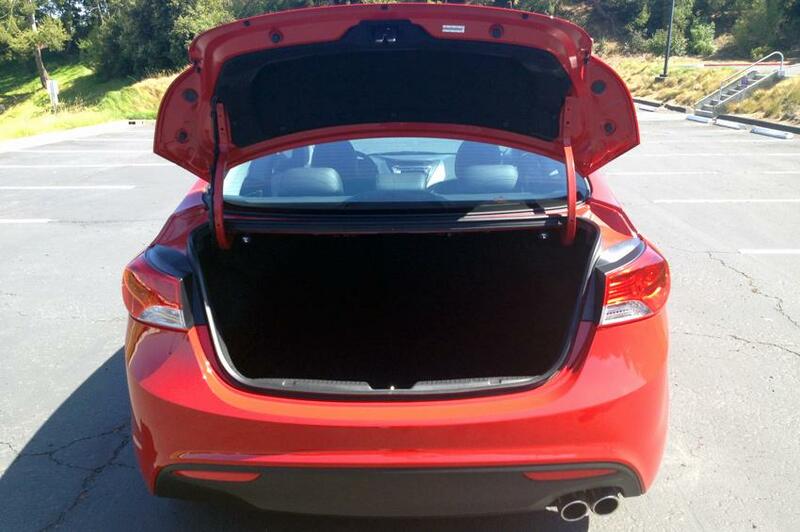 The Elantra Coupe also boasts 14.8 cb.ft of trunk space, which gives it the edge over both the 2012 Civic Coupe and 2012 Kia Forte Koup. Things only got better up front. While more evolution than revolution, the Elantra Coupe features a straightforward cabin layout with standard heated front seats, comfortable driving position, and easy access to the car’s suite of controls. 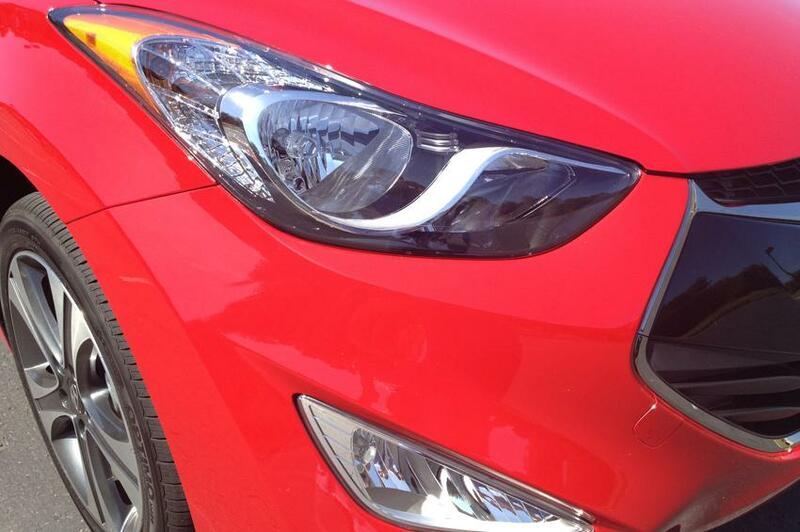 Next up, we have the all-new Elantra GT. Hyundai wants both the Coupe and GT to draw in younger buyers, but while the Coupe may attract free-spirited singles or younger couples, the GT’s added space and utility make it ideal for those with tikes, tots, and other real-life responsibilities to consider. 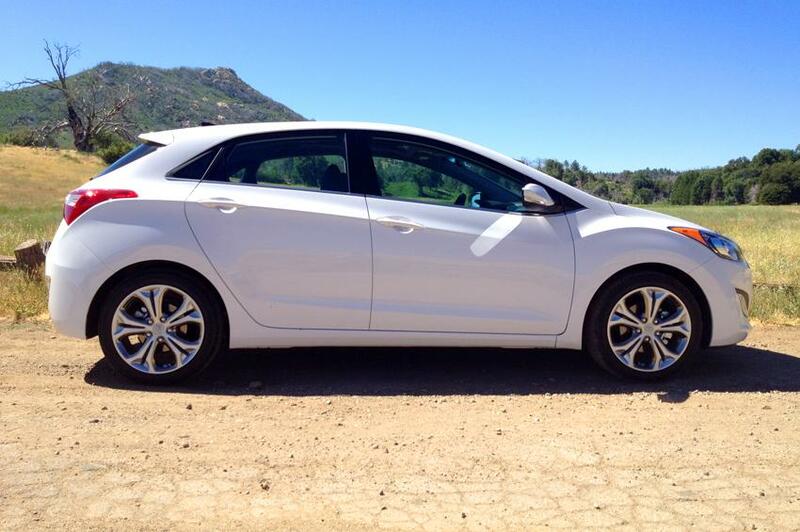 Design-wise, the GT ventures further from the mold than the Coupe, but not so much that it’s unrecognizable as an Elantra. Chrome accents find there way all across the GT and can be found on the car’s 17-inch alloy wheels, beltline molding, and hexagonal grille. Both the Coupe and GT retain Hyundai’s signature fluidic sculpture character lines throughout, lending a racier edge to the GT’s stylings. Unlike bellbottoms, acid-washed jeans, and fanny packs, we’re quite pleased to see hatchbacks experiencing a revival of sorts. Hyundai has done an exceptional job designing the GT, giving it a perfect blend of sport and sass. It’s neither breathtaking nor boring, but deftly dances in between both worlds. For our money though the Mazda 3 remains the best looking hatch of the bunch, but we prefer the Hyundai’s applied aesthetics over the 2012 Ford Focus. Its insides aren’t too shabby either. 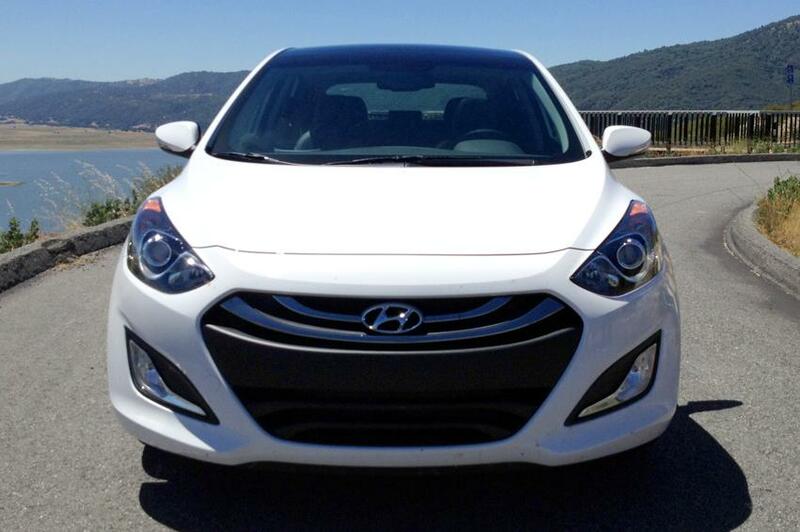 Automaker’s love to tout segment-firsts and Hyundai is no different. 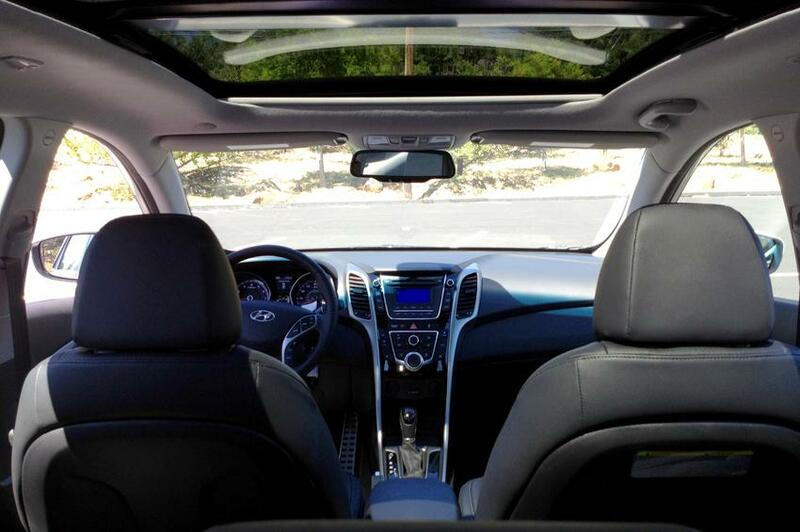 On top of a class-exclusive panoramic sunroof and driver selectable steering mode — comfort, normal, and sport — the Elantra GT offers a rear-badge-concealed back-up camera, standard Blue Link connectivity, and navigation system among other equally welcome premium features. As you’d expect in a five-door hatchback, the GT provides ample space for both driver and passengers. Standard storage features include front and rear cupholders, a front console tray with USB and aux inputs, sliding armrest, and front & rear side bottle holders. 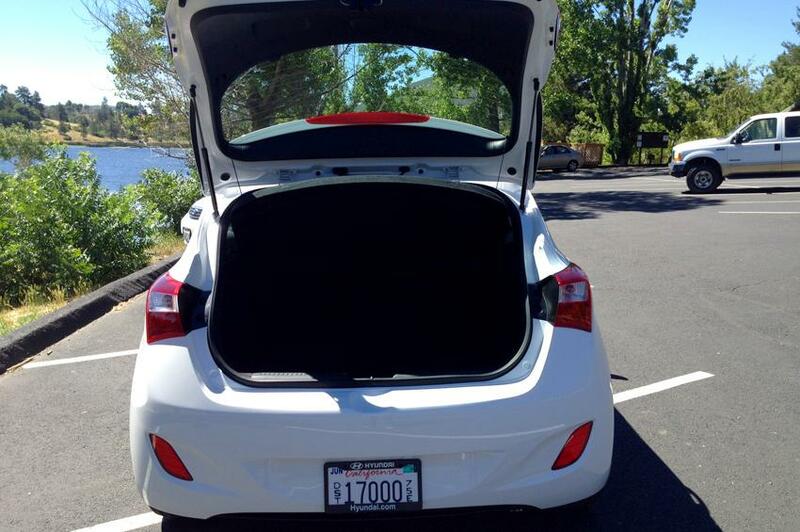 For those looking to pack their car to the brim, the Elantra GT offers a robust 23 cu.ft of cargo volume, besting both the VW Golf and Mazda 3, while falling short of the 2012 Ford Focus capacity by one cb.ft. Share and share alike is what we’re told at a young age and both the Elantra Coupe and GT heed those wise words with both models utilizing the same 1.8-liter 4-cylinder engine capable of generating 148 hp and 131 lb-ft of torque. 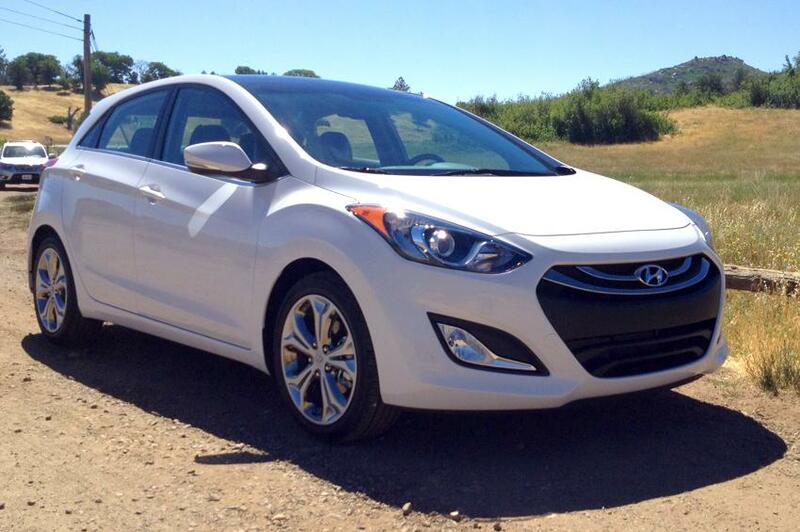 Hyundai has been intently focused on fuel economy and needless to say EPA ratings for both cars are impressive. The Elantra Coupe nets 29 mpg in the city, 40 mpg on the highway with a combined 33 mpg for the manual transmission, while an automatic trans nets 28 mpg city, 39 highway with a combined 32 mpg. Likewise the Elantra GT nets similar figures with stick shift getting 27 mpg in the city, 39 on the highway, and a combined 31, while an automatic trans setup manages to net one more mpg in city and combined. While both the Coupe and GT sip gas at a prudent pace, they both suffer when it comes to raw performance. Neither is particularly quick off the blocks, but we did find that the GT’s euro-inspired suspension gave it much more satisfying ride than its sportier sibling. 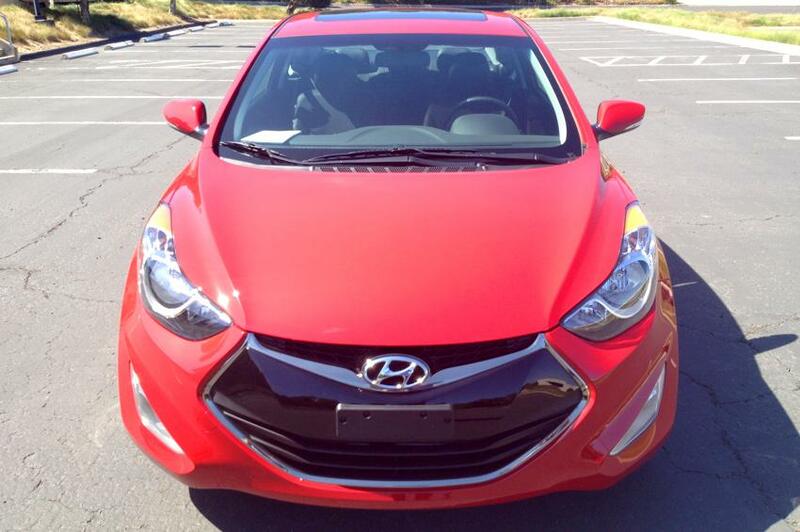 Like virtually all Hyundai’s vehicles, pricing for both the Elantra GT and Elantra Coupe is competitive. Both cars have rather simple and limited trim levels. Base price for the Elantra GT starts at $18,395 (excluding a $775 destination charge that applies to all Hyundai vehicles). Customers have the option of two packages: the style package ($2,750) adds 17-inch alloy wheels, a slick panoramic sunroof, and aluminum pedals among other accoutrements. For the technologically inclined a Technology package includes navigation, that nifty concealed backup camera we mentioned earlier, automatic headlights, and dual-zone climate control for an additional $2,350. 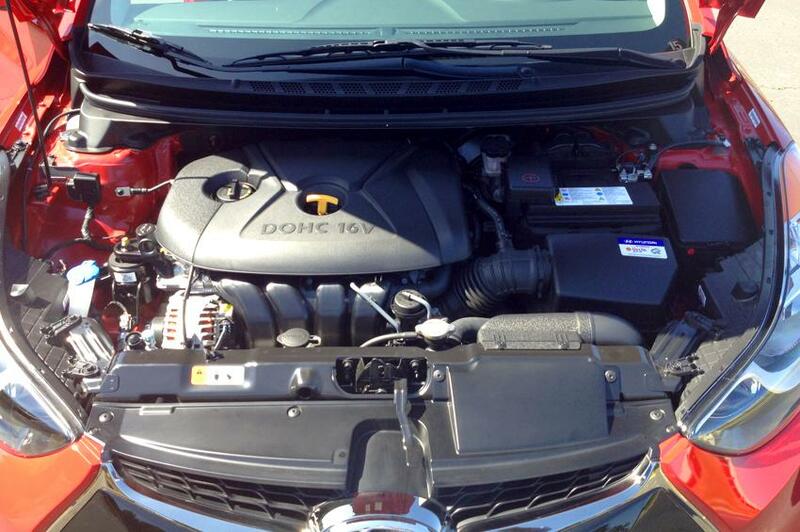 In total a fully decked out GT with automatic transmission will run you $25,270. Pricing for the Elantra Coupe GS starts at $17,445 (excluding destination), which includes air conditioning, power windows, locks, iPod connectivity, Bluetooth, 16-inch alloy wheels, and heated seats to name a few. The SE model adds leather upholstery, a sunroof, sport-tuned suspension, aluminum pedals, and other sportier design cues littered throughout for $20,520. Like the GT, customers have can opt for a Technology Package ($2,350) that includes navigation with 7-inch screen, rear-view camera, upgraded premium stereo, automatic headlamps, and dual-zone climate control. Gear-shifters take note though; the technology package is only available in SE models with automatic transmission and maxes out the Coupe’s attractive sticker price to $23,095 (sans destination fees). 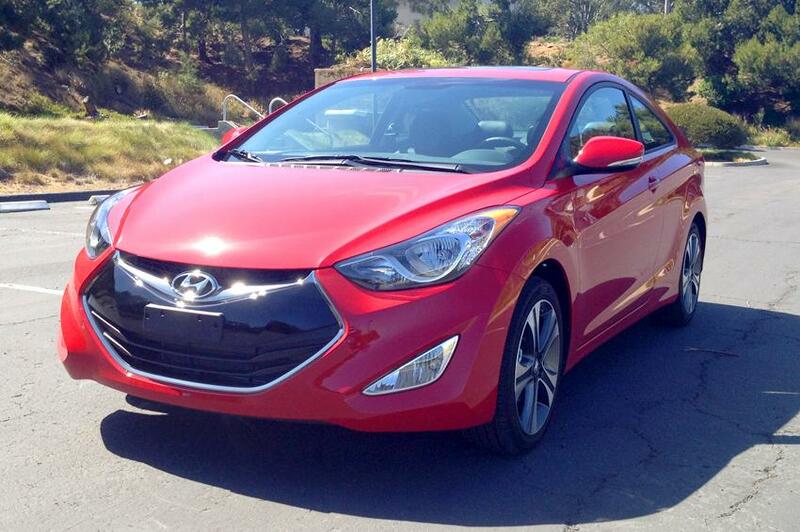 Hyundai is putting in a Herculean effort with both the Elantra Coupe and Elantra GT. The buzzword around the camp is ‘value’ and its clear Hyundai are trying to win the hearts and minds of consumers with each and every vehicle coming out of its Ulsan plant. Whether the Korean automaker is successful remains to be seen, but with the amount of value packed in both the Elantra Coupe and Elantra GT, it would appear segment rivals better watch their rear ends. That being said, while both the Elantra Coupe and GT represent a strong showing from Hyundai, neither is bereft of imperfections. We love how spacious and comfortable both vehicles are on the inside, all the technological bells & whistles, and the stellar fuel economy, but we’re left disappointed by both car’s rigid driving dynamics and rather lackadaisical performance. 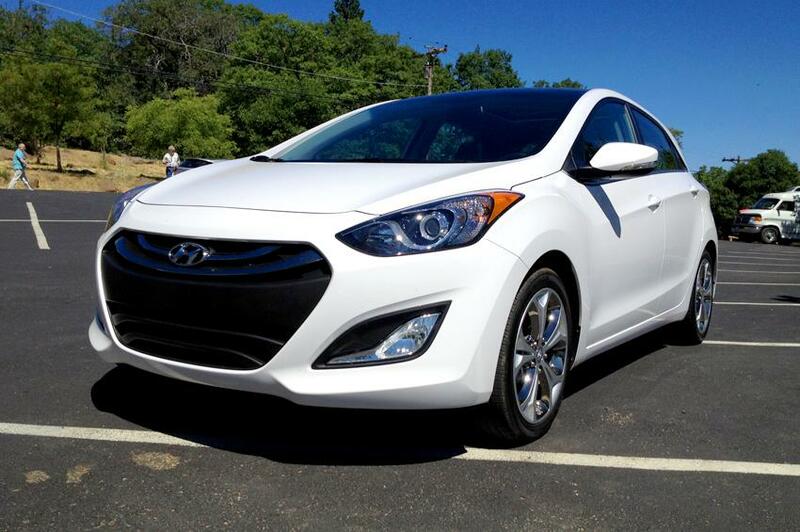 Still, both the Elantra Coupe and GT are solid cars and are welcome additions to the Elantra family.